In this book Yehuda Bauer, an internationally acclaimed Holocaust historian recounts the destruction of the shtetls, small Jewish townships in what was the eastern part of Poland, by the Nazis in 1941-1942. Bauer brings together all available documents, testimonies, and scholarship, including previously unpublished material from the Yad Vashem archives, pertaining to nine representative shtetls. In line with his belief that 'history is the story of real people in real situations', Bauer tells moving stories about what happened to individual Jews and their communities. Over a million people, approximately a quarter of all victims of the Holocaust came from the shtetls. Bauer writes of the relations between Jews and non-Jews (including the actions of rescuers); he describes attempts to create underground resistance groups, some people's escape to the forests, and Jewish participation in the Soviet partisan movement. 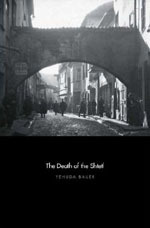 Bauer's book is a definitive examination of the demise of the shtetls, a topic of vast importance to the history of the Holocaust.